These products use a non-glare optical grade Acrylic lens, resists airborne common water based solvents. Other options available. Hardwire power supply standard. Integral quick connect to easily accommodate straight blade, metal clad, twist lock, Winsta (WAGO), ReLoc and Mate-N-Lok. Integrated 6kV transient voltage protection. 10kV option. 10′ Adjustable/positionable hanging cables. Pendant, Flush mount options. -30° to 50° C ambient operating temperature. The Model T is a perfect energy efficient solution for your parking lot. 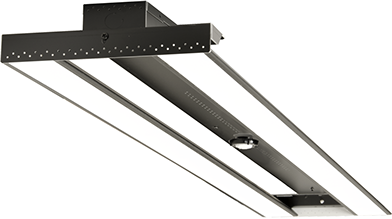 This models proprietary optics help reduce energy costs by up to 85% while highlighting your inventory with incredible color accuracy and contrast. The Model T light engines feature state-of-the art LED technology. 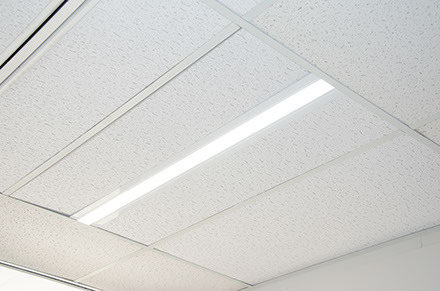 There is no other technology that provides more lumens/watt per square foot. You can get these lights in almost any color, call to discuss color and pricing options. 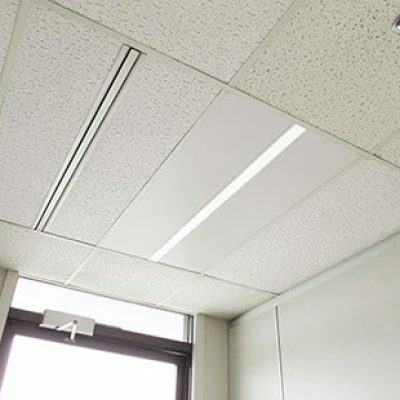 Energy Bank Flat Panel or Acoustical Tile Troffer replacements are state of the art Troffer’s with an ultra-sleep design. These lights have 3 brightness levels and even have the capability to program multiple preset scenes.